November Campaign A Success – Thank you Pasco County Tax Collector’s Office and Pasco County Citizens! Over the month of November, Friends of Animal Services, Inc. was featured as the charity of the month and with everyone’s thoughtful contributions, Friends will be able to provide the shelter with the life-saving operations and medical treatments that would otherwise not be possible! Pasco County Animal Services is offering waived adoption fees for *pets that have been at the shelter for more than 90 days. Residents in Pasco County will still be responsible for licensing fees at the time of adoption. All pets are microchipped, vaccinated and spayed/neutered at the time of adoption. Please feel free to share this post! You can also share directly from Pasco County Animal Service’s Facebook and Twitter pages as well. This promotion will be valid through January 2, 2018. Every Day Is Black Friday through November! Every day is Black Friday through the month of November! **Excludes puppies and kittens under 6 months of age and dogs under 25 pounds. Violinist sharing his talents for the animals! Nathan Brett is a senior at Land O’ Lakes High School who is working on a self-initiated service fundraising project forPasco County Animal Services. Nathan will be using his musical talents to help with his fundraising efforts. He has been playing violin for eight years and feels it would be a unique experience to combine his violin skills and his desire to help the shelter. He is no stranger to rescue, his family adopted a dog, Davy, from the shelter in 2011. His family’s previous dog was also a rescue. Thank you for all of your efforts Nathan! If you would like to help Nathan with his fundraising efforts, please let us know! He would like to collaborate with businesses as well as individuals. October is Adopt A Shelter Dog Month!!! Please share! September Tail Wagon Events & Locations! Shop Amazon Smile to help FPCAS! Shop Amazon? Why not shop Amazon Smile and help Friends of Animal Services Inc out at no cost to you! Instead of logging in to www.amazon.com, log into smile.amazon.com, it’s easy! March Tail Wagon Events – Please share! Hot Deals On Hot Dogs! A Summer of Second Chances! Weekly Hot Deals!!! Valentine’s Day Special at PCAS! A great opportunity to vaccinate and microchip! Microchips save lives! Adoption Events at Lokey Subaru of Port Richey in November and December – stop by to meet you new family member! Hope everybody had a great Halloween weekend! This Saturday we are having a Foster orientation/kitten bottle feeding class at 2pm, directly following a new volunteer orientation. Hope you all can make it! Tail Wagon is at Petsmart Wesley Chapel today! It’s Raining Cats and Dogs!!! Please share! Looking for Forever Homes! Please Share! Come to Pasco County Animal Services, these wonderful animals are waiting for their forever homes! Earth Day Event! Don’t Forget! PCAS Needs Help! Spring Cleaning! Pasco County Animal Services is Spring Cleaning! LAND O’ LAKES, FL- Pasco County Animal Services Division (PCAS) is getting ready to do some heavy duty spring cleaning! 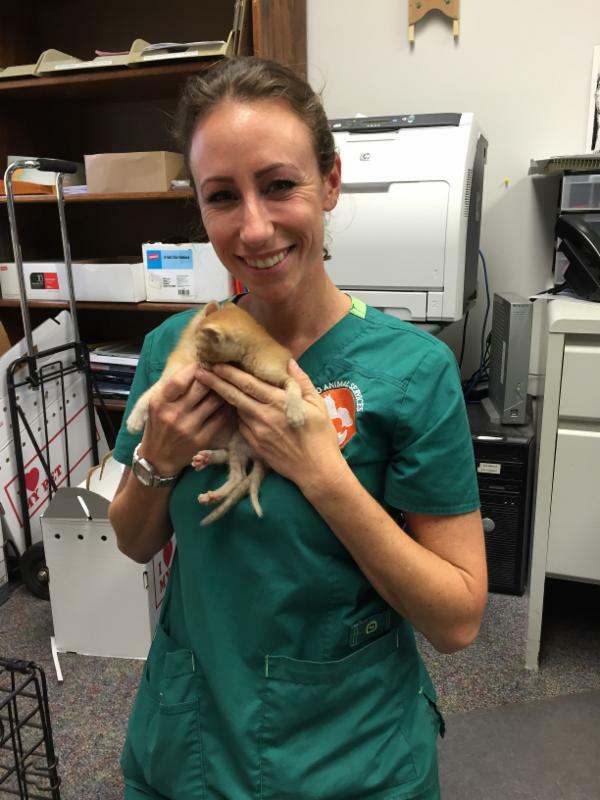 The health of Pasco’s shelter animals is a top priority to PCAS. Building C will be cleaned out, undergo maintenance, and be fumigated from April 30 to May 5, 2015. All dogs and cats will be temporarily relocated from the building during this time. PCAS is asking for community assistance. All cats and dogs must be moved out from Building C. The shelter is seeking to have these animals placed in safe and caring homes temporarily during this five day period. Of course, it would be even better if they find their forever homes. PCAS is asking all potential adopters to determine their own adoption fees. All adopters will get to pick their price! The adoption fee includes spay/neuter, microchip, vaccines and a new best friend! 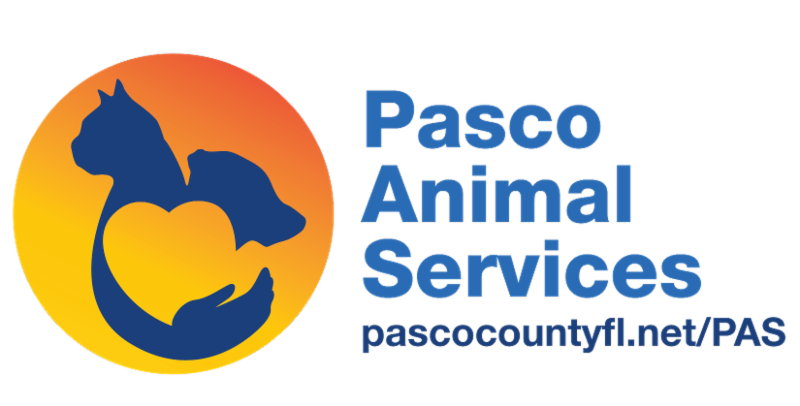 The Pasco County Animal Services Division is dedicated to promoting and protecting the health, safety, and welfare of animals and people. The Pasco County Animal Services Adoption Center is located at 19640 Dogpatch Lane, Land O’ Lakes, FL, and is open from 12:00 p.m. to 6:30 p.m., Tuesday through Saturday. For additional information, or volunteer opportunities, please visit the Pasco County Animal Services Division website at http://www.pascocountyfl.net/PAS, or contact them by phone at (813) 929-1212, (352) 521-5194, or (727) 834-3216. It’s Kitten Season! Kitten Registry! Woofstock 2015! Vendors and Bands needed! Any musicians want to donate their musical skills to the animals of Pasco County Animal Services? Vendors too – you can set up a table and sell your stuff! PCAS and Friends of Animal Services, Inc is going to be hosting Woofstock 2015! It will be held at the Florida Estates Winery, May 9 from 12 – 4pm. Check back for more details! Thank you! Please share! New calendar events added for Tail Wagon! Please visit out calendar to check out where the Tail Wagon will be! Kuranda Raffle! Donate a Kuranda and help the shelter out! What?! Check this out: Kuranda is raffling off “5 of our super strong ALUMINUM BEDS” ($400 value) to groups getting 10 or more bed donations during each of the remaining four weeks of winter! Winners will be selected from a random drawing with a cut off of midnight Saturday February 28th, March 7th, March 14th & March 21st. Heartworm Positive Dogs need love too! There are several dogs at Pasco County Animal Services that have come in testing Heartworm Positive (HW+). While it seems like a scary thing and can turn off many potential adopters, it is treatable and ultimately preventable. The initial cost in treating HW can be a little daunting however it isn’t within reach. If you are interested in one of the dogs that are HW+, talk to the staff and see if they are getting treated or what their course of treatment will actually be – it may not be as bad as you think! And you would be saving a life as well – HW+ dogs need love too! Here are two examples of great dogs looking for a home and a little extra TLC! Donate to Noodles and Hobbes! Among all of the pets at Pasco County Animal Services, we have two dogs that are pending surgery and further medical attention: Noodles and Hobbes! To donate to either of them through our dedicated Medical Fund, please click here and you will be immediately taken to our PayPal account to make your donation. Noodles: has an injury to his hindquarters (Cruciate Ligament Repair – more details to come). He is expected to go to surgery March 6th. To donate to his surgery, please click on link. Hobbes: the one and one half year old brindle bully breed in the back row of Building A. Chip in fundraiser to get help for this dog is still on going at San Francis Vet Hospital, Shady Hills, 352-848-0940. Funds already donated to Hobbes have paid for two diagnostic x-rays. HOBBES needs “FHO” Remove Head of Femur operation. He is also heartworm positive. Intend to get help for that too. People For Pasco’s Paws! Golf Tournament Fundraiser! Checks can be made to: River Ridge Golf Club and raffle tickets will be sold at check-in! HOBBES the one and one half year old brindle bully breed in the back row of Building A. Chip in fundraiser to get help for this dog is still on going at San Francis Vet Hospital, Shady Hills, 352-848-0940. Funds already donated to Hobbes have paid for two diagnostic x-rays. HOBBES needs “FHO” Remove Head of Femur operation. He is also heartworm positive. Intend to get help for that too. When you call, say it is for HOBBES. 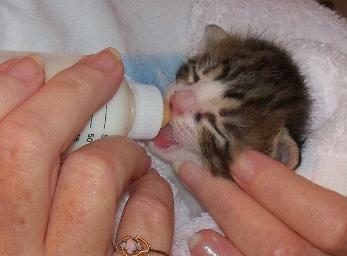 Also, call or stop in to see Shivana Sismilich asap to fill out a foster caretaker app. He needs 8 weeks of care after the operation. If you would like help getting the app processed, call me at 727-247-0559. With foster in place, this is a go. Don’t forget – we can accept any donations for any pets that are under medical care. Please specify the animal you would like to donate to when making your Donation and we will ensure that the funds will assist in medical costs and rehabilitation. Click on the “Ways You Can Help” and then click on “Donate to Medical Fund” button. Please let us know if you have any questions at info@fpcas.org. Thank you! Be sure to check out our calendar to see where the Tail Wagon will be and find your new friend! As always, you can stop by the shelter on Tuesday – Saturday, 12:00 pm – 6:30 pm closed Sunday and Monday. 4th of July Special! $17.76 Adoption Fee! Adoptions fees waived for military members! We hope that everyone has a safe Memorial Day weekend! Please take a moment to remember the sacrifices of the men and women of our armed forces; they made the ultimate sacrifice for our freedoms and our country! SHELTER ANIMALS NEED ADOPTERS – NOW! FOR IMMEDIATE RELEASE CONTACT: Suzanne Salichs, Ph.D.
(727) 834-3480 SHELTER ANIMALS NEED ADOPTERS – NOW! Pasco County – Pasco County Animal Services is overflowing with loving adoptable dogs and cats. More than ever, we need caring individuals and families in our community to come out and provide good homes for these dogs and cats. These pets have been spayed or neutered, microchipped and have all their vaccinations. They are just waiting for a good home. Adoption specials this month celebrating Cinco de Mayo, Mother’s Day and Memorial Day are still available. And don’t forget that adopting a shelter animal SAVES A LIFE! If saving a life or getting a new best friend doesn’t make you feel good alone; then consider the monetary savings you get when adopting a shelter animal. Typical costs from other sources could cost as much as $400.00 for a dog or a cat. The Pasco County Animal Services Adoption Center is located at 19640 Dogpatch Lane in Land O’ Lakes. The Adoption Center is open from 12:00 p.m. – 4:30 p.m. on Tuesday, Wednesday, Friday and Saturday and on Thursday from 12:00 p.m. until 6:30 p.m. Please come by and save a life. For additional information, please visit the Pasco County Animal Services website at: http://www.pascocountyfl.net/PAS or call us at (813) 929-1212, (352) 521-5194, or (727) 834-3216 for additional information. info@fpcas.org – our new email! We have changed our email to align with our new site – feel free to share the site and email and if you ever have any questions about how you can help us, drop us a line! Welcome to the newly redesigned fpcas.org! We hope that the new format accommodates our visitors many different devices s well as provide them with the information they need to help us make life for the shelter animals better in hopes of them finding their new homes! Take a look around and if you would like to see additional info that hasn’t been included, let us know. 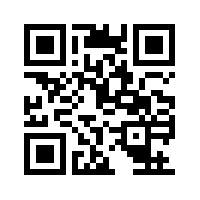 Please share the site, like us on Facebook or follow us on Twitter! Thank you for visiting! The county shelter is nearing its goal of saving 90 percent of the animals it inherits. LAND O’LAKES – It doesn’t take much for the dozens of dogs at Pasco County Animal Services to launch into an ear-splitting chorus of yelps and howls. ‘They’re just excited,’ shelter manager Mike Shumate explains as he strolls past rows of cages, pausing at one to scratch a lab-mix behind the ears. ‘They always get that way when they see someone.’ Visitors mulling whether to adopt at the county shelter onDog Patch Lane can be overwhelmed, which is why the facility includes three ‘bonding rooms’ for quieter interactions. The rooms are among several tools meant to boost adoptions after the county launched its ‘Save 90′ program two years ago. Named for its aim to save 90 percent of impounded animals, the program is nearing that goal now with live transfers out of theshelter hovering at 85 percent this month. ‘We’re not there yet, but we’re getting there,’ Shumate said. Along with the bonding rooms and outdoor play area, Save 90 uses volunteers, foster families and rescue groups to tend to the animals and seek homes for the pets, including out of state. BRENDANFITTERER|TimesCadbury is a Bernese Mountain Dog mix available for adoption at Pasco County Animal Services. The county is trying to save 90 percent of impounded animals at the site in Land O’Lakes. in February 2013 to raise license fees to allow the shelter to hire more staff to feed the animals, clean cages and match pets with owners. Also helping, a few months ago the shelter received a dog adoption vehicle called the Tail Wagon to bring to malls on weekends. Former County Commissioner Michael Cox helped outfit the wagon, a donated transit bus. Among other things, he welded a platform on the back to hold a generator to run lights and air conditioning. Save 90 is modeled after a program in Manatee County and part of a push nationally to save strays. It started after activists visiting Pasco’s shelter in 2012 were stunned by the sweltering, unclean cages at one building and the shelter’s high euthanization rate. More than 55 percent of animals brought to animal services ended up with a lethal injection. Activists say the kill rate soared to 85 percent some months. One county report in October 2010 showed that of the 267 dogs impounded, 135 were euthanized, and of the 470 cats there, 455 were put down. The rate improved to 45 percent in 2012, but activists were still appalled. ‘It was horrible,’ said Novette Gish, a volunteer for Cat Crusaders and St. Joseph Animal Rescue. ‘Any cat brought in, whether trapped or surrendered, was pretty much killed within 24hours.’ The group also complained that the county’s new adoption center, known as building A, was under-utilized, which left more animals housed in the poorly ventilated building C.
The group turned its anger toward then-shelter manager John Malley and later county commissioners, writing letters, showing up at board meetings and picketing outside county offices and the shelter. Malley resigned in April 2013. Shumate took over a few months later. Commissioner Pat Mulieri, who was swayed by the activists, led commissioners to adopt Save 90. ‘We euthanize a very small number in comparison to what we used to,’ she said of today’s 10 to 15 percent rate. ‘It’s much better now. I’m very pleased.’ Almost all the animals put down now are sick or injured. In instances involving large excitable dogs, the shelter sometimes turns to foster families. But the biggest change under Save 90 has been the shelter’s mindset toward strays. Where in the past the overall goal focused on population control, the aim now is to prepare animals for adoption. For dogs, that includes getting them outside for walks to keep them from getting stir crazy. The shelter leans heavily on its 60 or so volunteers to walk the dogs between 10 minutes and a halfhour each outside the kennel. 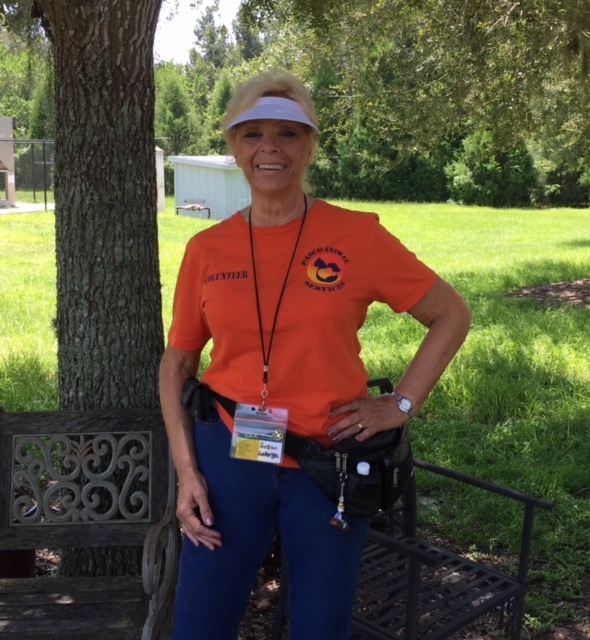 ‘We’re there to help them and move them along to new families,’ said one volunteer, Diana Hessman, 67, of New Port Richey. ‘If you give a dog just 10 minutes of love and get them out of that kennel it can be very rewarding. We look at it that way.’ Still, Save 90 has its challenges. Shumate said the hardest part isgetting the animals moved out quickly. That’s where volunteers and rescue groups come in. Currently, the shelter houses about 145 dogs and 50 cats. Rich Shopes can be reached at rshopes@tampabay.com or (727) 869-6236. Shelter manager Mike Shumate stops to play with Blue, a mixed breed available for adoption at Pasco County Animal Services. A large variety of cats also are looking for loving families at the facility in Land O’Lakes.